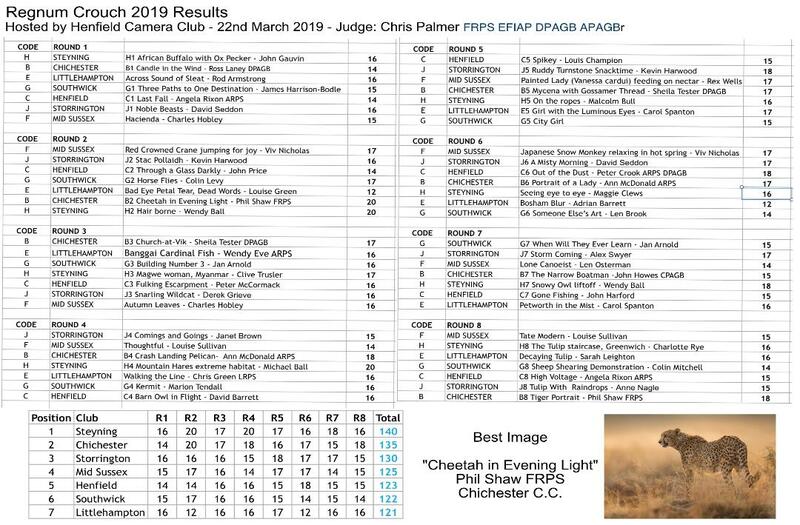 Henfield Camera Club were delighted to host the 2019 Crouch PDI Shield Competition on March 22. A total of seven clubs submitted images which were expertly judged by the distinguished Judge Chris Palmer FRPS EFIAP DPAGB APAGB. His comments were both insightful and well received. A copy of the marks and overall winning image are below.